Mountain View, CA –– The majority of small businesses either incorrectly believe or are not sure whether they must provide health insurance to employees in 2014, according to a recent survey of small business owners released today by eHealth, Inc. (NASDAQ: EHTH), the parent company of eHealthInsurance. eHealthInsurance (http://www.ehealthinsurance.com) is America's first and largest private health insurance exchange. eHealth’s Fall 2012 Small Employer Benefits Survey focuses on these small businesses. 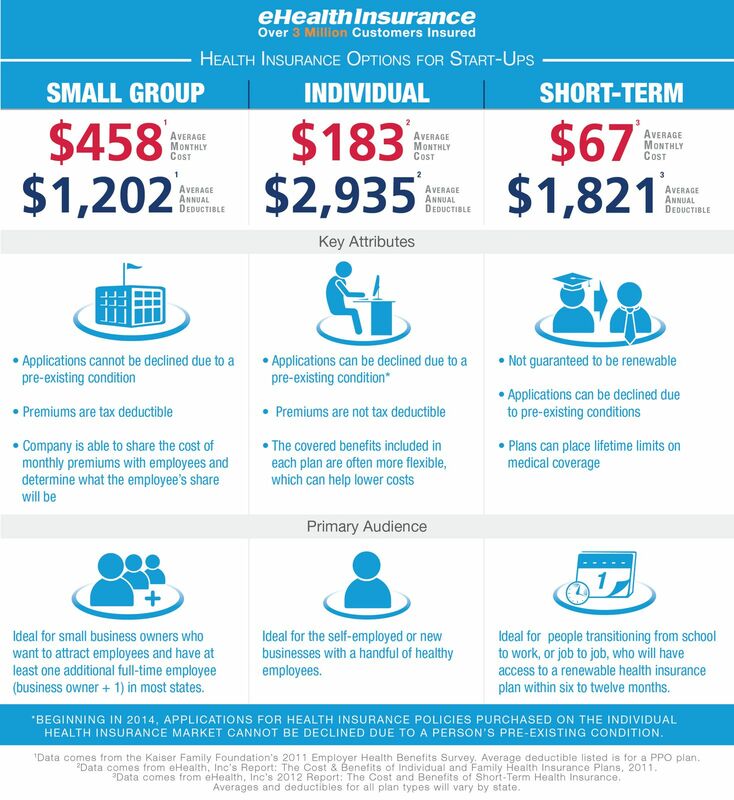 The survey was conducted anonymously online between Aug. 15 and Aug. 22, 2012, and gathered responses from a total of 439 small businesses that had purchased health insurance policies through eHealthInsurance.com. Results show many small employers still hold misconceptions about what health care reform requires of them, and few are making any long-term plans based on their expectations of how health care reform might impact their businesses. Based on their size (fewer than 50 employees), only two of the businesses surveyed would be required by the ACA to offer health insurance coverage to employees in 2014. However, one-third (34%) incorrectly believed that they were required to buy insurance for employees in 2014, while 35% weren’t sure. Nearly 70 percent either incorrectly believed or were not sure whether they would be required to pay a tax for not providing health insurance in 2014. Only thirty-one percent (31%) of respondents correctly said that the reform law does not require them to a pay tax if they don’t offer insurance. Another part of the ACA not factoring into employers’ strategies is health insurance exchanges. A large majority of small business owners (78%) said they were not familiar with health insurance exchanges and how they could impact their business. Government-run exchanges, which are slated to come online by 2014, would make subsidized health insurance available to individuals who don’t have access to health insurance through an employer. The survey also explored employers’ willingness to adopt new cost-saving strategies, as well as their attitudes for imposing penalties related to employees’ participation in wellness programs. To reduce costs, more than half (51 percent) said they would increase employees’ share of premiums. Nearly 40 percent would consider increasing employees’ deductibles. Nearly half of the employers surveyed (44%) felt it would be fair to impose penalties on employees who don’t participate in wellness programs. 83% of small employers said they review their companies’ health plan benefits once a year. More than half of all small employers (59%) ask their employees for input when reviewing their company’s health insurance benefits, while 28% of employers said they never ask their employees for input. In order to manage costs, 51 percent of employers said that they would consider increasing an employee’s share of premiums, while 39 percent said that they would consider increasing an employee’s deductible. Nearly half of the employers surveyed (44%) felt it would be fair to impose penalties on employees who don’t participate in wellness programs. eHealth’s Small Business Survey report can be downloaded in full here (http://news.ehealthinsurance.com/pr/ehi/document/Final_SmallBusinessSurvey_Fall12_comp05.pdf) or through the eHealth, Inc. Media Center.